So far Barb Wade has created 1 blog entries. If you’ve ever dined at the True Grit ​Café, odds are you’ve met one of the restaurant’s long time employees, Donnis Parrie. A bright-eyed, warm woman who will greet you with a friendly “how are you doin” in a slight Southern drawl. With beautiful silver hair and glasses that she wears hanging around her neck, Donnis’ welcoming smile and demeanor immediately make you feel at ease and at home. Donnis has been working at the cafe for 18 and a half years and has become an important piece in the foundation of the restaurant. Donnis is no stranger to the restaurant and hospitality business. She was born and raised just south of Houston, Texas. At the age of nine her mother began working as a bartender and soon after opened her own business, where Donnis gained hands on experience. At the age of 21 she moved to Houston where she lived for 15 years before moving to Colorado. 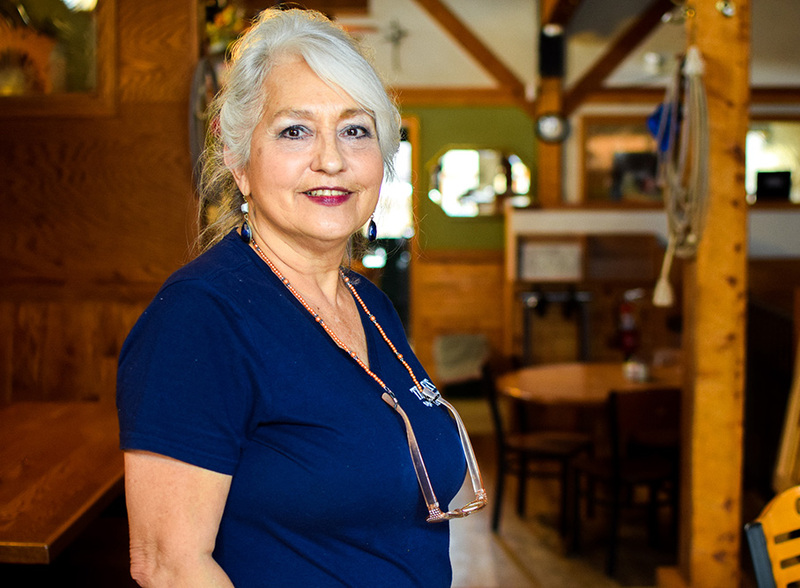 Donnis’s work ethic and positive attitude is part of what has made her so loved at the True Grit Café and in the community. What makes True Grit ​Café such a unique experience for locals and tourists is that you will always find consistency. You will find consistency in knowing that every meal is going to be delicious and thoughtfully sourced, but also in the familiar faces of the people that you will interact with. 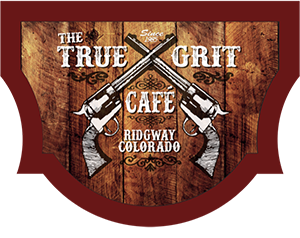 On December 31, 2018 True Grit​ Café celebrated being open for 33 years. Donnis has experienced a large portion of those years and expressed that although each year is increasingly more busy, she still loves working there every single day.